which is an interesting read for anyone interested in the current state of the art market and where Sotheby’s sees the market heading. Sotheby’s claim they have the right board and that, “Third Point (Loeb’s vehicle) has made no case that change is warranted; Mr Loeb’s Slate adds no incremental relevant expertise to your board.” They also point out that Sotheby’s was the fastest growing auction house in 2013 and Q1 2014. Sotheby’s go on to analyse how they are doing in all markets, how they receive their revenue and where they see the art market developing. They also analyse Loeb’s previous behaviour as a shareholder and the knowledge of the art world (or rather the lack of it) of Loeb and his other two proposed directors. 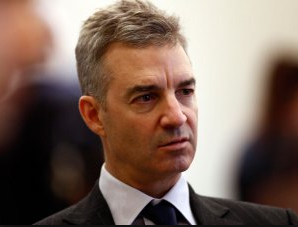 Sotheby’s claim Loeb has been a shareholder for over a year and that they have tried to work with him and offered him a place on the board back in early 2014. Sotheby’s share price has recently been on a slide sinking from a 52 week high of 54 to today’s price of 42.05. It is not known what price Loeb came on board but he is probably sitting on a loss which must be adding to the pressure. The slide in the share price has started to attract some attention with hedge fund manager Jim Chanos recently appearing on CNBC and pointing out that Sotheby’s stock is a decent gauge of where the top 1% of investors put some of their money. Chanos maintains that shares in Sotheby’s have peaked before every financial bubble since 1987 and that the fact that Sotheby’s stock (BID) appears to have started to decline indicates trouble ahead for the general market. Sotheby’s are certainly mounting a vigorous defense against Loeb, perhaps more than he expected based on previous successes gained from using similar tactics on other companies. They do not seem to believe that he understands their business, or that he and his colleagues would add value as board members and they are doing their utmost to show they are on track with their current performance, management and strategy. How this will play out is anyone’s guess but for the time being it seems that Sotheby’s are keeping Loeb at bay.